At CES 2013, Companies displayed their latest Tech. Qualcomm, one the leading Smartphone Core Manufacturer, was also at CES to announce its latest series of Processors. Qualcomm showed off its Snapdragon 600 and Snapdragon 800 Processors, a rich competition to the Samsung Exynos 5 Octa. Snapdragon S4 Processor has been the feature of many high end smartphones last year including the HTC Droid DNA, Google Nexus 4, Nokia Lumia 920 and LG Optimus G. Even now phones are hosting the processor with Sony Xperia Z latest addition to the list. Quad Core Krait 300 CPU — This is the same as the Snapdragon S4 but the only increase is the max. clock speed which has been raised to 1.9 GHz. Performance Boost— Snapdragon 600 processor to deliver up to 40% better performance than the Snapdragon S4 Pro processor. This is also due the LPDDR3 RAM which increases the speed at which the data flows to each component and thus increasing the performance throughout the processor. This Series of Qualcomm processors was the star of the show of the announcement with Amazing Specs. 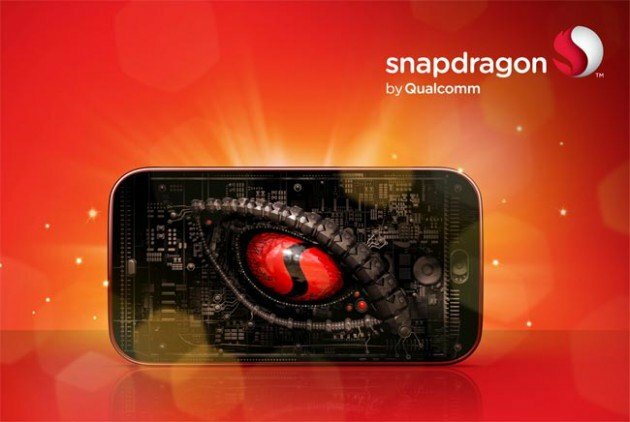 Snapdragon 800 series will be available by the end of 6 months of 2013. Here is the list of Specs. Quad Core Krait 400 CPU—The New 400 Krait series Quad Cores are a powerful Core with amazing Clock speed of up to 2.3 GHz. Adreno 330 GPU— Claimed to be 2 Times faster then the Might Adreno 320, this GPU can surely handle all the tough graphic and pixel work you throw at it. UltraHD—Capable of Handling UltraHD (previously called “4K.”), the Qualcomm Core is up to date with modern tech. Snapdragon 800 will not only feature in high end smartphones, it will also be a part of Smart TVs and tablets.